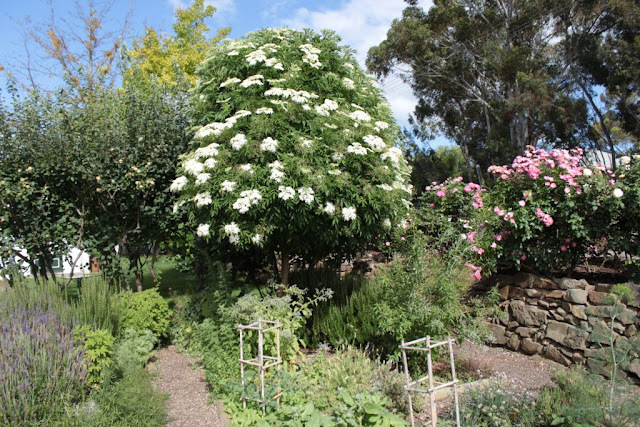 The elder tree in the herb garden is covered in a haze of lacelike flowers. 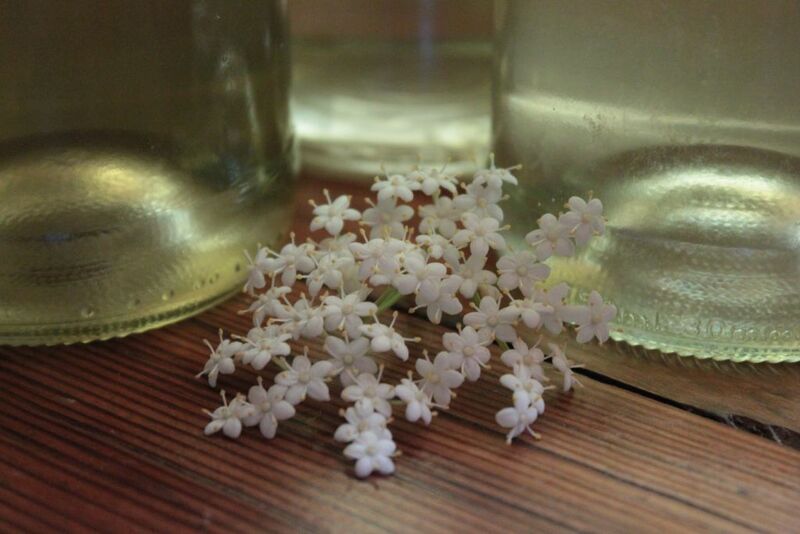 The sweet white fragrance fills the air on a balmy summer’s day. 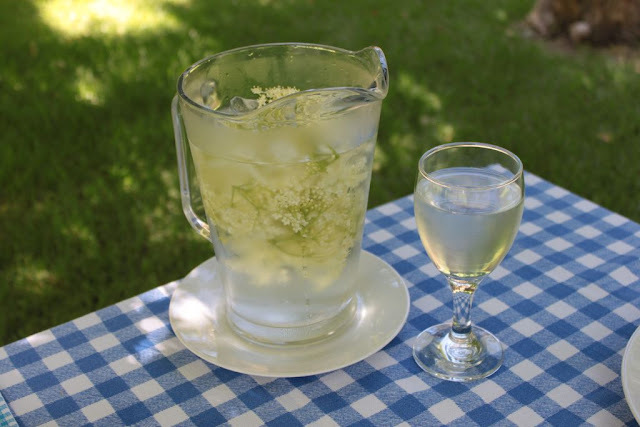 I enjoy elderflower cordial. But I struggle to find it and when I do, it is very expensive. My philosophy is if you cannot find it, make it. If you do not have the ingredients on hand, plant it. 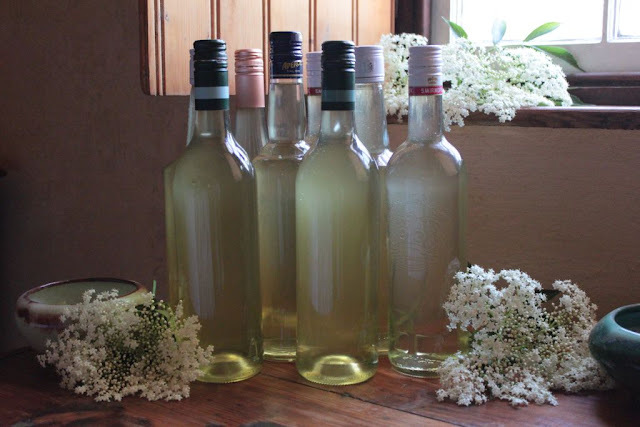 I looked up at the elderflowers and realised that I had enough flowers to make a couple of bottles of elderflower cordial. Elderflower cordial is a favourite summertime drink. It conjures up images of Victorian ladies sipping cold cordials in conservatories filled with palms. 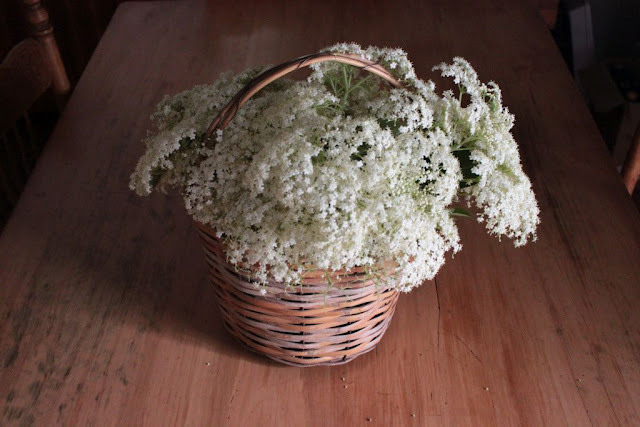 Picking the fine lacy flowers, that reminded me of the doilies on the side-tables in my grandmother’s house, is an experience in itself. The sweet fragrance of the flowers sticks to your hands as you place them in the basket. I am competing with the bees that try to get all the nectar from the millions of little flowers before I can pick them. 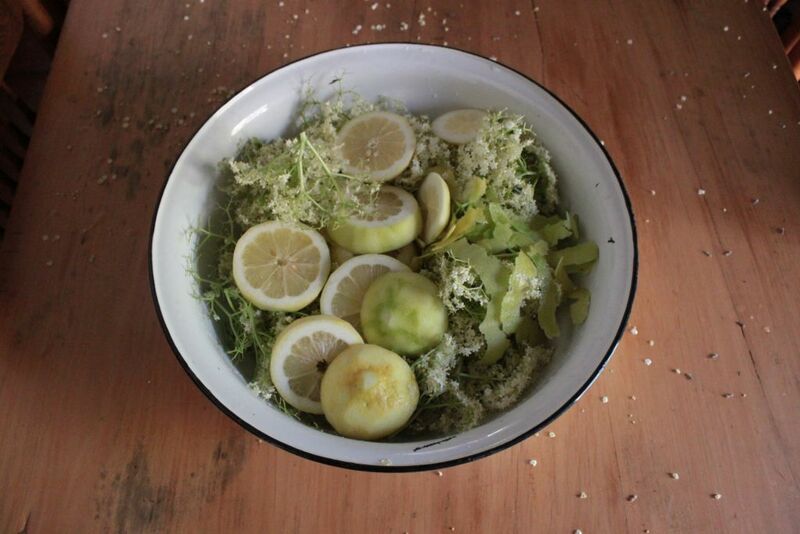 I used a British recipe, since they have been making Elderflower cordials since Victorian times. It was a popular drink to serve at every summer tea-party. They clearly never had my problem of having too few flowers. 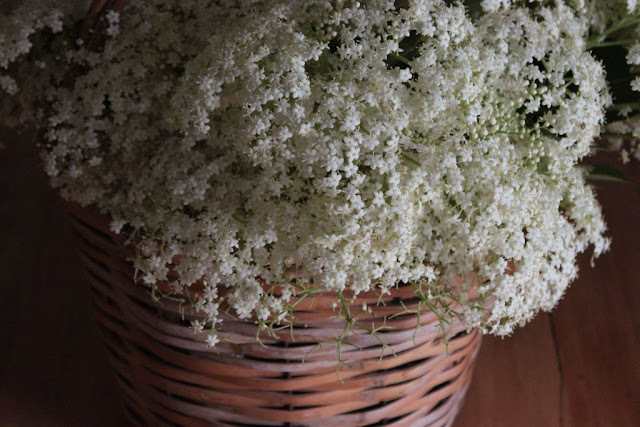 Their elder flowers grow in hedges along country roads. 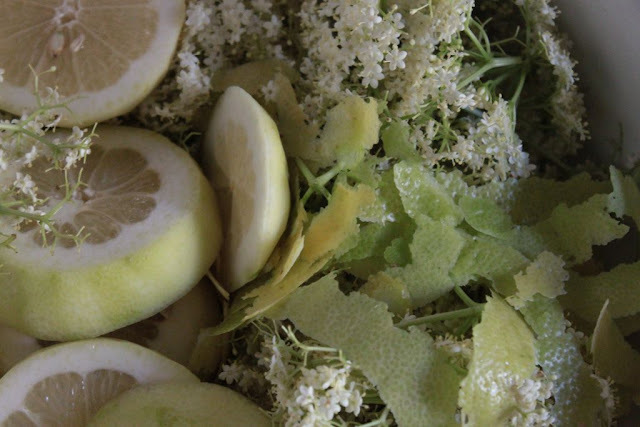 The experienced cordial maker says that the best time to pick the flowers is on a dry, warm day when the blooms are newly opened and white. Well, in December we never lack warm dry days at Towerwater. 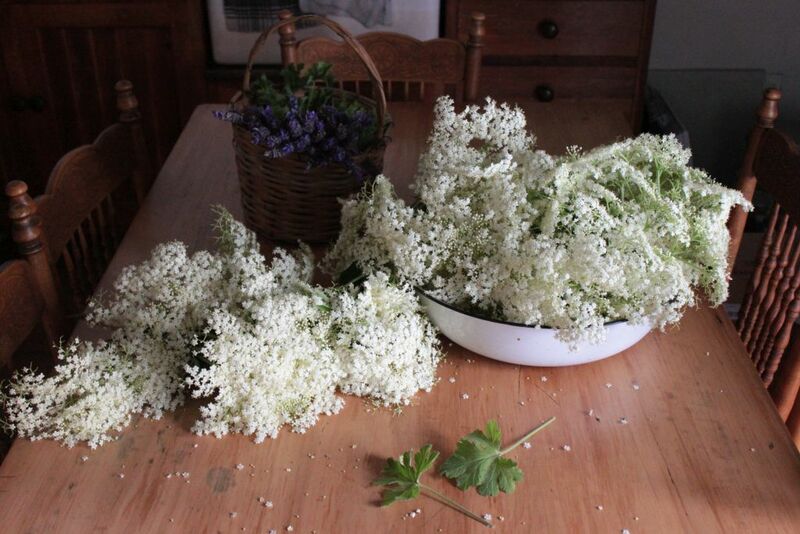 One also needs to pick them before noon, as the aroma fades once the afternoon sun hits the flowers. 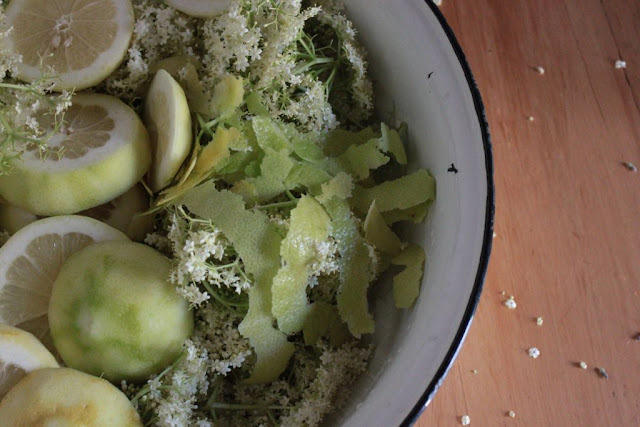 The elder's properties are not only good for making cordials. 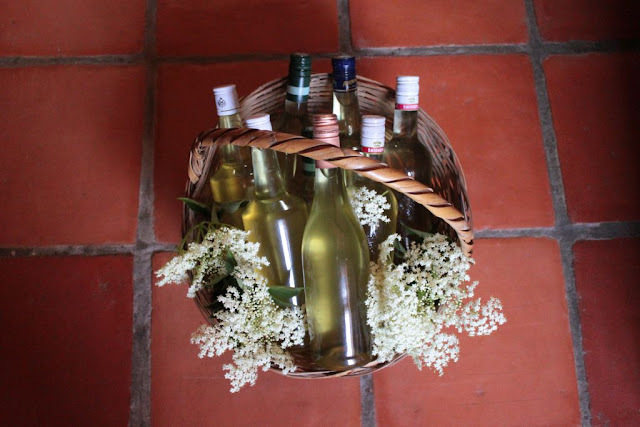 Since the days of the druids, the plant has been used for its medicinal worth. Elderflowers are rich in Vitamin C. Its healing properties have for centuries been used as a herbal remedy for coughs, colds, hay fever and even rheumatism. The Elderflower harvest turned the kitchen into a magical place of white lace. Like metres and metres of a bunched up bridal veil. I prepared the first stage by adding all the ingredients and letting it steep for 24 hours. On Sunday, 24 hours later, I could bottle the cordial. I was happy to find that I could nearly fill nine 750ml bottles. As one serves the cordial by diluting one part of cordial with 10 parts of water, about 67 litres should see us through summer. 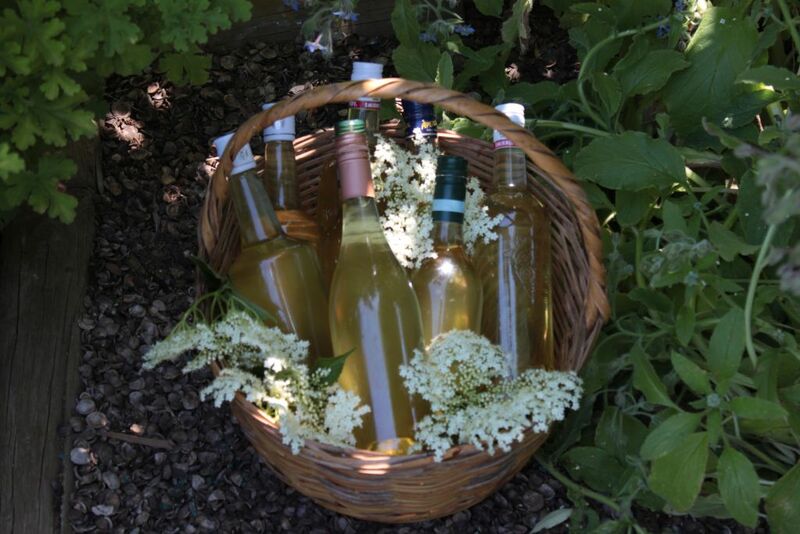 I made a jug of refreshing elderflower cordial to serve with lunch. 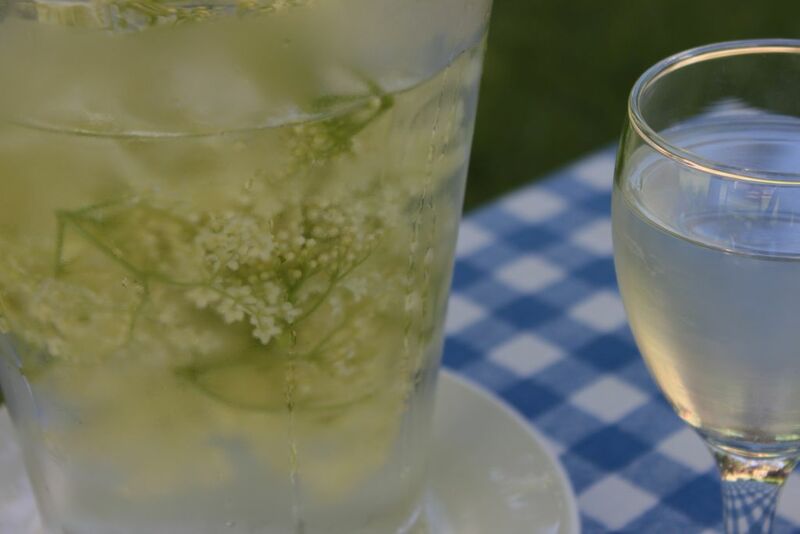 Sitting under the oaks in the balmy shade sipping this floral drink, it was as though the garden was kissing me with elderflower kisses. lemons using a potato peeler, then slice the lemons into rounds. to infuse for 24 hrs. Delicious! Thanks for this inspiring post. I was told that planting an elder tree in each corner of your garden wards off witches! Enjoy your cordial - I'm sure its delicious! Thank you Gail, at least we will be protected from witches on the one corner.